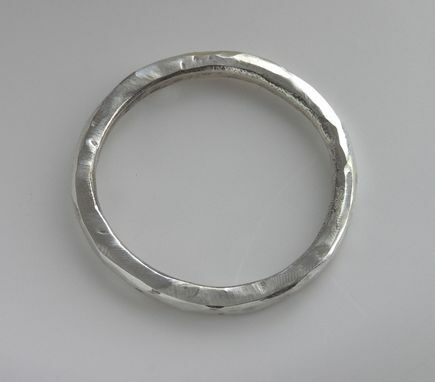 Argentium Silver thin round band, approximately US size 13, handmade by me with a light hammered but shiny texture. Ideal for large fingers, or even for using as a jump ring or pendant, etc., in your own existing jewellery. You buy the exact one shown here which is ready to ship.